From our research we know that many people leave their tents behind because they can't get their pop up tents back in the bag at the end of the festival. Believe us we know, we’ve tried it completely sober having had a good 12 hours sleep and we still couldn’t fit the f***ing thing back in the bag it came out of. Well here is the challenge, if you have one of the aforementioned pop up tents, we want you to film yourselves putting it away on the festival site whilst timing yourselves and post it on Facebook using the hashtags #loveyourtent #popitinchallenge #justtakeithome - Then nominate your friends to do the same. We will also be on a festival tour seeing which bands can do the same in the quickest time so by the end of the season we should have a Top Gear style leader board where you can see if you’ve beaten your favourite artist. Pressure your favourite festivals into adopting Love Your Tent as part of their camping options so everyone can benefit from safe, clean, camping and together we tip the balance of festival camping expectations around the world into a more pleasant experience. 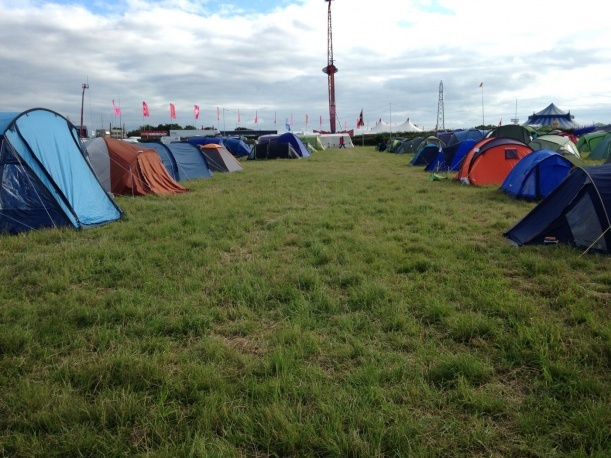 If your favourite festival does offer our free RESPECT and pay per stay Love Your Tent campsites get yourself booked in, spaces go really fast. Above all else, make sure you take your tent and belongings home with you after each festival, and tell your friends to do the same. Believe us when we say it doesn't get used in overseas troublespots it all goes to landfill!